High Speed Real Time range with USB 3.0 connection. 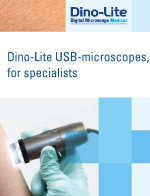 Dino-Lite digital microscopes provide a powerful, portable and feature rich solution to microscopic inspection at up to 900x magnification and 5M pixel resolution. 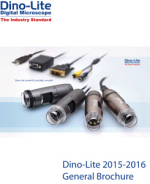 High quality imaging and optics, feature rich software, advanced hardware features as well as world class support and warranty set the Dino-Lite range apart from lesser products. With over 150 models to choose from the Dino-Lite digital microscope and DinoEye microscope eyepiece camera range offers multiple connectivity options including USB models for PC or Mac and TV, VGA and DIV models for computer free operation. WiFi connectivity to smartphones and tablets is enabled using the DinoConnect WiFi streamer and a compatible Dino-Lite USB model. Specialist illumination options, numerous magnification and working distance configurations and a wide range of stands and accessories mean there is a Dino-Lite product solution to suit most applications and budgets from the home user through to the most demanding professional. The NEW WF-10 WiFi Streamer allows select Dino-Lite models to be used with iOS and Android SmartPhones/tablets. Download the latest DinoCapture 2.0 Software today from www.dino-lite.com and set the AutoUpdate feature to benefit from the latest enhancements as and when they are released. 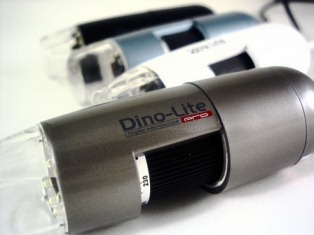 The D15 series Dino-Lite Mobile with larger 5" display. All the benefits of the previous mobile but with much improved LCD display.